According to the Huffington Post, Daniel Carder, an unassuming 45-year-old engineer with grey hair and blue jeans, appears an unlikely type to take down one of the world's most powerful companies. Carder belonged to a 15-member West Virginia University team that pioneered portable emissions testing as part of a 1998 settlement between the U.S. Justice Department and several heavy duty diesel engine makers including Caterpillar Inc. and Cummins Engine Co. So what has Volkswagen done? 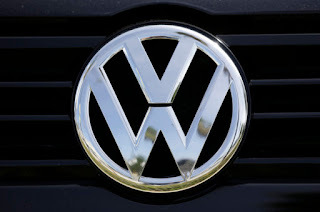 The US Environmental Protection Agency (EPA) claims that Volkswagen installed an illegal piece of software in its diesel cars that would allow the vehicles to appear far more environmentally friendly during testing than they would in the real world. Called a 'defeat device' this piece of software changes the way the engine behaves, massively reducing the amount of harmful emissions being produced by the car. How does a 'defeat device' work? Modern diesel cars use a fluid called urea that's then pumped into the exhaust system which in turn reduces the amount of nitrogen oxide that's released into the atmosphere. A 'defeat device' is a piece of software that can detect when the car is undergoing emissions testing at which point it will start pumping more urea into the system. A sensor is placed inside the exhaust which then measures the car as it 'drives'. The problem is that it's not sustainable. Under normal driving conditions the fluid would run out extremely quickly.